To request a printed copy, email us at MassALA@mass-ala.org. The next Assisted Living Resource Guide will be published in January 2019, and we will mail it out to our members and referral sources at that time. A full-page listing for your member residence in the Assisted Living Resource Guide costs $450 (for Community Residences only, not Business Partners). Only residences who purchase a listing and are in good standing will be included in our online directory. Please update your community’s information ONLINE using the members-only section of Mass-ALA’s website by November 1, 2018. If you would like to be included in this year’s Resource Guide or to purchase an advertisement, please read the directions below to reserve your listing. The Resource Guide listing is pulled directly from your digital listing, so please review this information carefully. Your login information is the executive directors email and password is Massala1234 (capital M only) if you need your login information, please email us. If you need directions on updating your profile, see our member manual here. After you have updated your listing, please fill out the Resource Guide order form 2019 RG Listing order form and submit the completed form back to us at your earliest convenience. Please note, the SAME photo from last year will be used unless you email a new photo to cgreenberg@mass-ala.org. 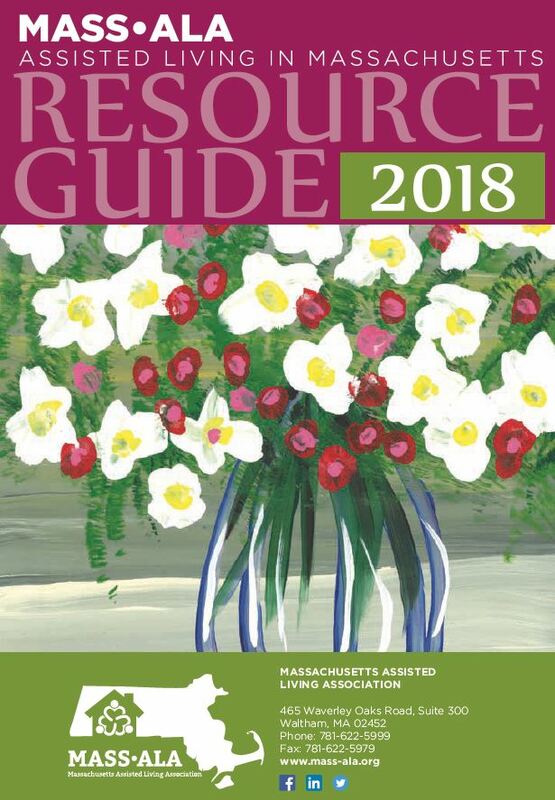 You must purchase a Resource Guide listing to be included in the printed 2019 guide. If we do not receive your form, you will not be listed in the printed guide. Business Partners: Your yearly membership includes your companies contact information printed in the back of the Resource Guide (please log in to your profile and make sure your contact details are correct). Page advertisements are also available for purchase in the Resource Guide. To purchase an advertisement please fill out the form here.